If you're considering switching up your HVAC system, don't ignore the most innovative, flexible, and efficient option—and be sure to seek out the most qualified professionals for the job. In all but the mildest climates, whenever the temperature soars or plummets, the typical homeowner faces a tough choice between saving money and maintaining a comfortable home. 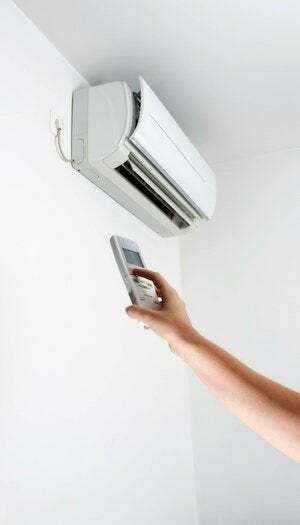 After all, any HVAC technology will all but ensure a pleasant, livable indoor environment, but in doing so, most devour energy and drive up the utility bill. As David Kenyon, a product manager with Sears Home Services, says, “There’s no doubt that comfort usually comes at a cost.” That being the case, it’s perhaps no surprise that more and more homeowners are embracing the mini-split—a high-performance cooling and heating option whose efficiency helps keep expenses low. Efficiency alone, however, doesn’t fully explain the appeal of mini-splits. On the contrary, their popularity is probably also due to the fact that, as Kenyon says, “mini-splits combine efficiency with versatility.” That is, you can employ the technology on your own terms. Some choose to install a mini-split as a way of delivering comfort to a single room. Others rely on mini-splits for climate control throughout the house, in a zoned configuration that actually enables you to target temperatures on a room-by-room basis. In contrast with systems designed for one specific type of application, mini-splits can be an appropriate choice for almost any residential project, no matter the scope. Mini-splits offer homeowners another major benefit aside from efficiency and flexibility: They’re much easier to install than many traditional options. To a marked extent, that’s because mini-splits don’t involve ductwork. In a traditional ducted forced-air system, an elaborate network of bulky, rigid metal ducts must be fit into the home, a process that may necessitate extensive renovation. Mini-splits are, by comparison, unobtrusive and more or less hassle-free. “Retrofitting a forced-air system would require a large-scale, perhaps weeks-long effort,” Kenyon says. But because “mini-splits typically don’t require anything but modest alterations,” the installation process often goes quite quickly, sometimes taking no more than a day. Still, there are several important points to bear in mind when you’re planning to add a mini-split. Read on to learn about the most critical considerations. “Any HVAC update begins with budgeting,” Kenyon says. In your investigation of the project costs, he continues, “don’t make the mistake of concentrating only on the initial outlay.” For a more accurate picture, it’s important to account for the operating costs as well. Over the long term, thanks to their virtually unparalleled efficiency, mini-splits “prove to be among the most affordable options out there,” according to Kenyon. Several innovations enable mini-splits to conserve energy and, by extension, reduce monthly bills. One is that, as they are ductless, mini-splits do not suffer the same air leakage problems that significantly detract from the overall efficiency of many traditional ducted systems. As well, mini-splits simply require less electricity to power their normal operation. 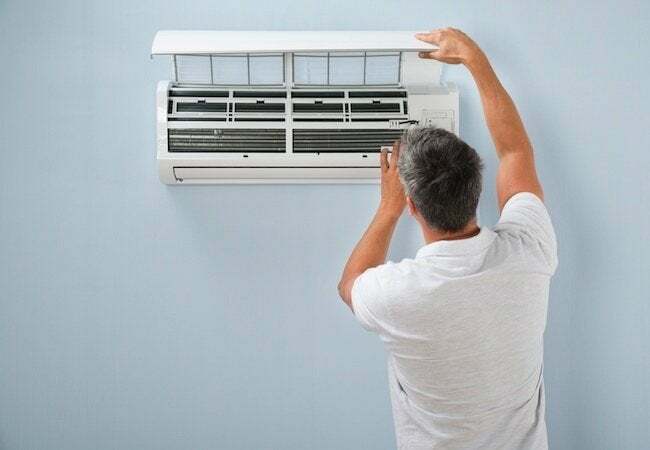 All together, the efficiency features of the best mini-splits work in concert to slash climate-control costs in the average home by as much as 40 percent. Of course, you can’t start saving until the equipment has been installed—and this will incur significant costs. Keep in mind that, while your local contractor may not be able to provide financial assistance, established companies like Sears Home Services offer a selection of financing packages that can help you fit the project into your budget. At its most basic, a mini-split installation involves nothing more than an outdoor compressor/condenser, an indoor air handler, and running between the two, a pair of refrigerant lines narrow enough to fit through a three-inch hole. A whole-home application would involve multiple indoor units, with lines running to each unit from one or more outdoor units. In other words, configurations vary. “There’s no one-size-fits-all approach,” Kenyon summarizes. “The right approach depends entirely on your needs.” At the earliest stages of the project, therefore, you must be sure to clarify its scope. Do you want to supplement an existing HVAC system or replace it? Do you wish to cool the space, heat it, or both? Before being able to make your vision a reality, your contractor first needs to understand it. Particularly when it comes to something as complex as climate control, many homeowners appreciate expert advice and insight gained from years of experience. That’s precisely why Sears Home Services project consultants collaborate with homeowners from the earliest planning stages to the final day of installation. And as demonstrated by its Satisfaction Guarantee, Sears remains committed to your success even after completion of a project. Forced-air systems, which rose to prominence in the wake of World War II, have been the leading option in HVAC for more than 50 years. Because it’s so ubiquitous, Kenyon points out, “it’s the technology most technicians know best.” Even today, relatively few professionals can boast a long track record of work with mini-splits. Those with experience fully understand, as Kenyon says, that “from poor system sizing to setting the incorrect refrigerant levels, there are many ways in which the installation can go wrong.” Indeed, Kenyon continues, “installing mini-splits properly is an art form all its own.” As that’s the case—and given that it’s your comfort on the line, after all—it behooves the homeowner to seek out a uniquely well-qualified installer. 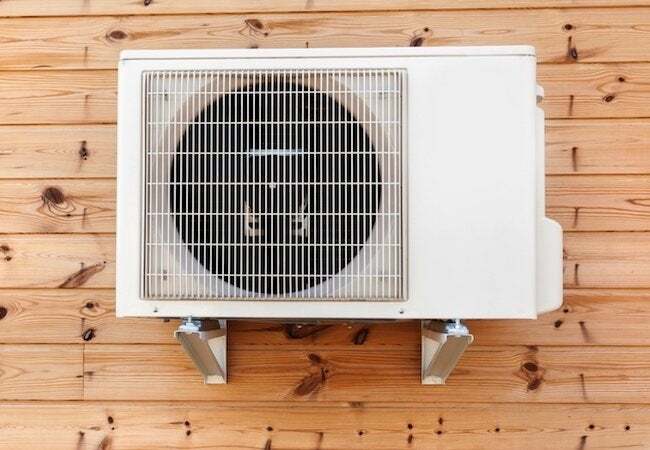 Sears Home Services stands out, because its network includes technicians trained and certified to install and repair all the most popular climate-control options—and mini-splits are no exception. To discuss your upcoming project with experts who have successfully completed similar projects in the past, call or go online now to schedule a free in-home consultation with a nationwide company that has a decades-long history of serving homeowners like you—Sears Home Services.